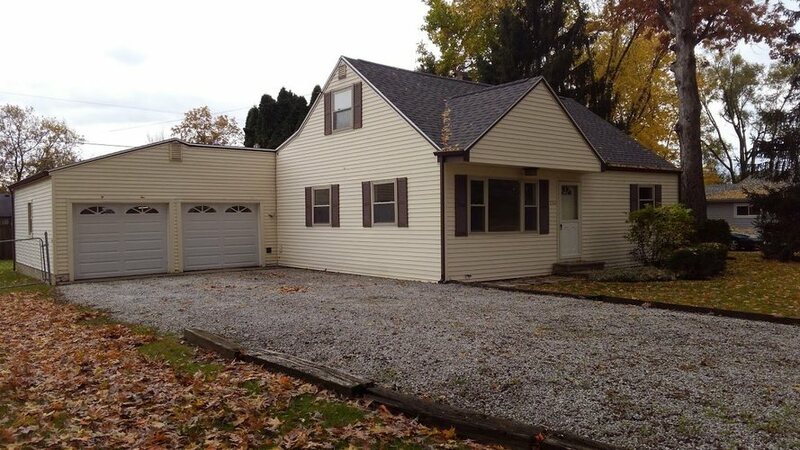 Remodeled 1922 sq ft home with 4 bdrms, 1.5 baths, 2 car attached garage, almost 1/2 acre fenced yard with deck! New kitchen cabinets with ceramic tile counters & backsplash. Updated bathrooms. New Roof 2018. New flooring along with beautiful refinished hardwood floors in home. Newer vinyl siding and windows. All appliances stay. Gas forced air and central air. Move in condition! Directions:Heading east on St Joe Ctr Rd, take a right on Lahmeyer Rd and another right on Duane Dr. Home is down on your left. Listing provided courtesy of Blake Realty.